St. Louis was founded in 1764. In the colonial days, it was the “old west” for all intents and purposes. It was incorporated in 1822. It’s one of the Midwest’s oldest cities. The city has history. It has a reputation. When you visit, it feels like old souls haunt the air. Everyplace has its own unique culture, but St. Louis takes it to a whole ‘nother level. 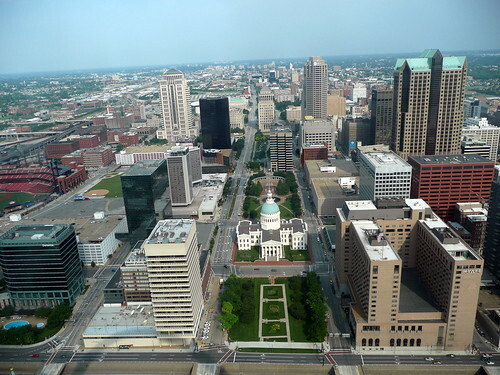 While the rest of the country is recovering from the recession, St. Louis seems like it’ll be stuck for a while longer. Pork steaks. A free zoo. An economy that lags the rest of the country by a wide but closing margin. No wonder it’s not all sunshine and rainbows for St. Louis real estate. You know there’s something wrong when entire neighborhoods remain empty after being seized seemingly for no reason for purposes of eminent domain. Nothing is more depressing than having your home and neighborhood ripped from your hands only to watch the area go unused for decades at a time. The outrage shows no signs of stopping. Click here to read more about it. Nothing depresses a city’s economy like vacant properties. First, it looks bad. It doesn’t look inviting. Vacant properties don’t exactly scream “inviting” to people thinking about relocating. Natives love the city, but outsiders are hesitant to move there. New businesses are loathe to relocate because the regulatory environment doesn’t have anything on places like Oregon and Texas. Houses are literally falling apart in North St. Louis, posing a danger to current residents, not to mention depressing their property values. You know it’s bad when the 3rd ward committeeman gives residents a number to call to have the city take care of dilapidated houses. And you know the house is bad when the ugly houses people aren’t interested in buying it. Let’s have a look at how St. Louis real estate stacks up to the rest of the country. According to Zillow.com, average home prices in the US have gone up by a whole 7% year over year, since 2012. How is St. Louis doing? Not much better. A whole 8% in a city where the average home goes for a whopping $104,000. These numbers are tempered by high value states like New York, where prices have gone up only 2%. But prices in New York are already staggeringly high, and New York is nothing like Missouri. Sometimes it feels like the city is stuck in a bygone era. It’s not a place young people think about when they have their hearts set on going somewhere to shake things up, to make their mark. The city has its problems, and these problems present a huge opportunity for improvement. It might take a couple more years, or decades, before St. Louis shakes its reputation and becomes a place people want to move their families and businesses to. Which is funny because the natives are friendly, and they love their city’s culture. Maybe young Americans need to take some risk on St. Louis. About the author: Kamiel Moore is a real estate expert who lives and works in Houston, TX. She loves visiting St. Louis and wishes more people would move there instead of just visiting. Image licenses: 1. Reading Tom, CC BY 2.0 2. Author owned and licensed.